1. If we were a family of drinkers, I could understand this tree. Clearly, the kids decorated it. I love the bucket underneath. 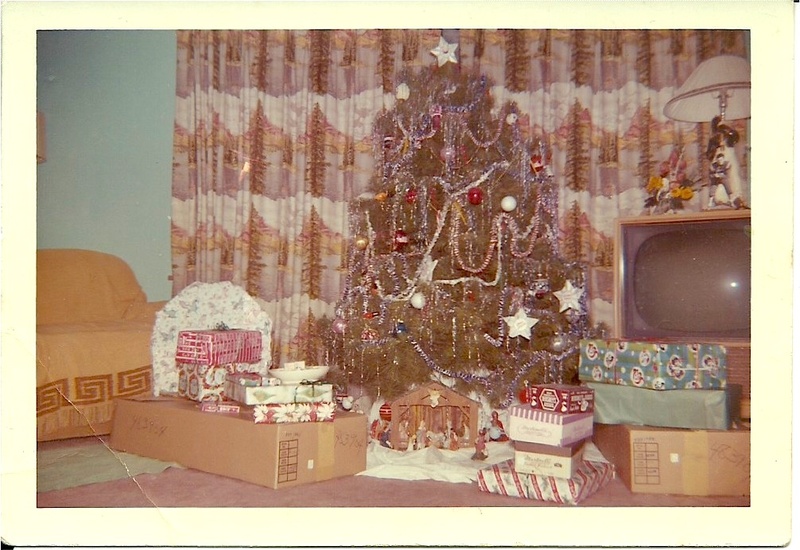 I don’t ever remember thinking about what our tree looked like when I was very little, except that I liked to sit and watch the colored lights and play with the wise men and Jesus. I do remember our family being together around the table, talking for hours, and all the great food we ate with aunts, uncles and cousins dropping by almost constantly. As I got older, I wondered why people chuckled when they came and looked at our trees. Now that I’m looking at these photos, I think I know. Did it matter? Absolutely not. If I had to choose between my loving family, or great decor, I’d take family in a nanosecond. 2. I remember this as my best childhood Christmas. My sister and I got large walking dolls. My brothers got a basketball hoop. Didn’t remember the tree until this photo. 3. 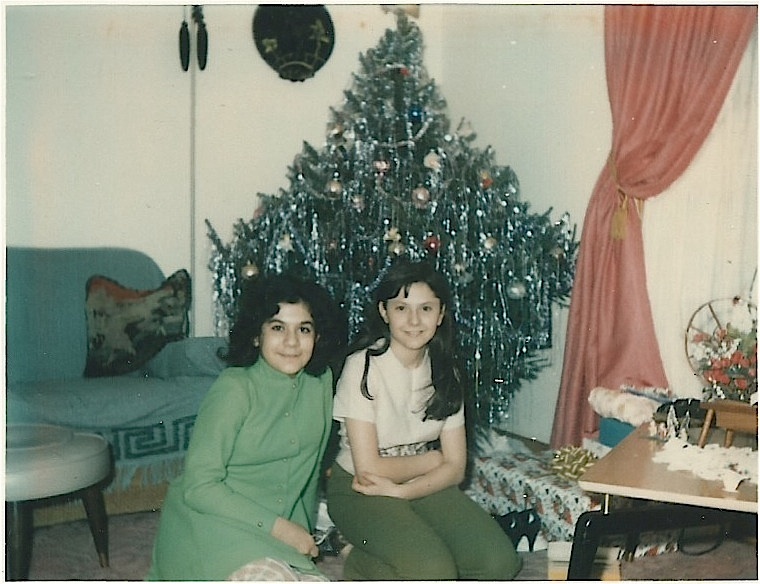 My cousin, Nancy and I sitting under one of our better trees. 4. We must have decided to make up in size what we lacked in decorating prowess. 5. And the trees kept getting larger. But the jaunty popcorn string is really slimming, don’t you think? This entry was posted in Uncategorized and tagged loving family. Bookmark the permalink. Fran, I love these posts. They remind me of the years my Grandmother was alive. We’d all gather at her house (my mom, her 6 siblings, and cousins too many to count) and we’d eat and eat. 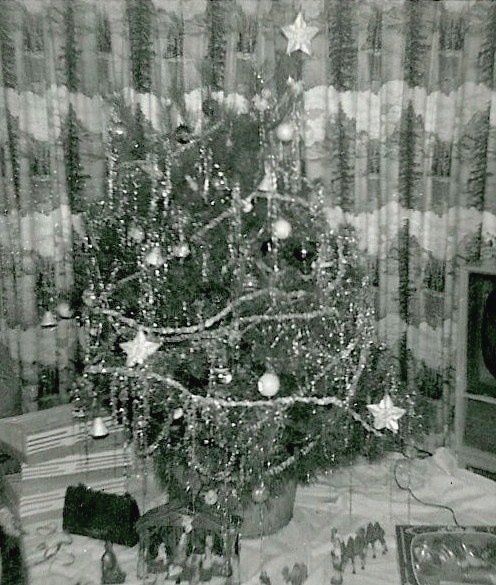 I can’t remember her tree at all, just the memories and live around the table. Thanks Di. How funny, I didn’t remember that you were Italian until we reconnected. The memories are the best, I’m so glad you have them too. My post tomorrow will be all about Christmas Eve. Should be fun! Oh, Frenzie, it warms my heart through all of these posts that you are going to get the chance to be with the family this year! Have a truly beautiful time and can’t wait to hear all about it when you get back!! Buon Natale! Thank you Nicol. I just had the most fabulous time at my nephew Patrick’s wedding! It couldn’t have been better! 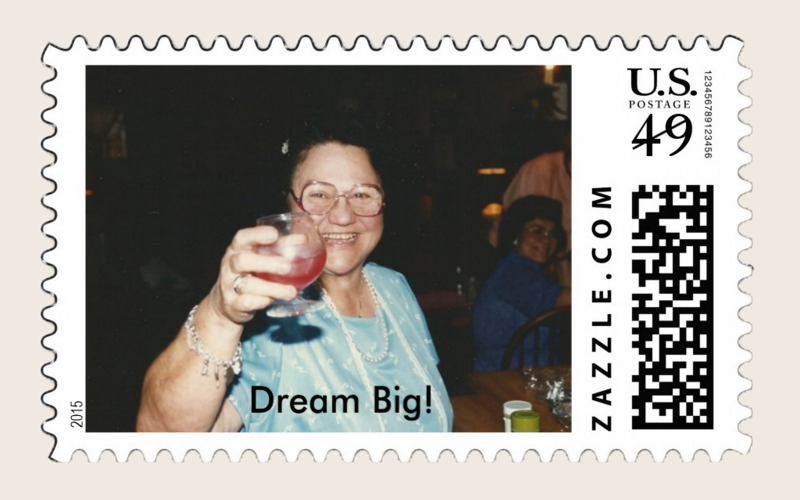 Oh Joann, I wish you could be there. It should be quite the reunion. I am sure we’ll take lots of photos to show you. Yes, hope to see you soon. Have a wonderful Christmas and 2015! Give my best to your mom! Well said! I agree loving family hands down. I am so blessed to be in yours! Right back at ya sister! Hmm. My French surname, when divided equally = Mau (from maudit or maldire) means ‘bad’ or (more properly) “Cursed (! )” from Old French-Latin Roots. Even modern French defines the word “pin” as ‘Pine-tree’ or ‘Scotch-Pine’ (!) OK, Fran, do you recognize that last one = “Scotch Pine?” RI-I-I-GHT! It appears on the label of some modern CHRISTMAS TREES (!) 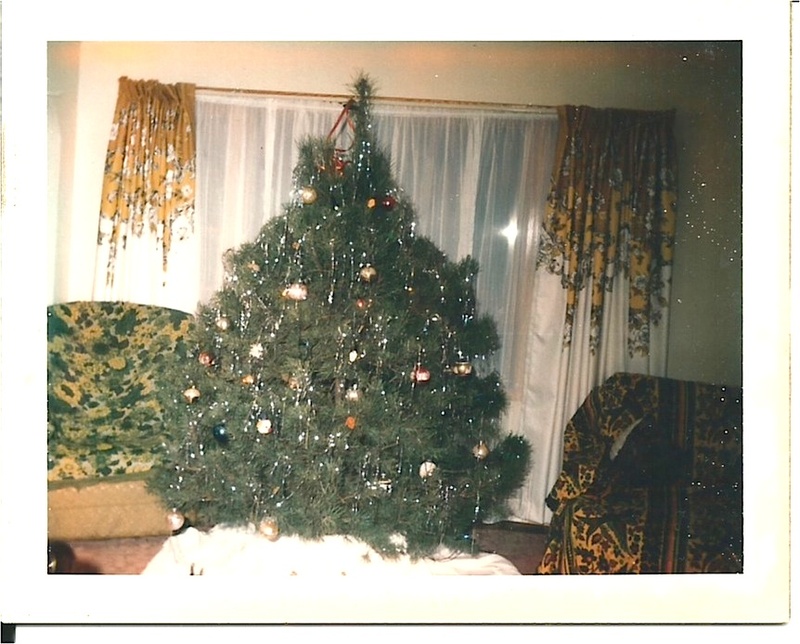 OK, you got the picture: Mau-pin = ‘Cursed Christmas-Tree’ ( I graciously won’t bother you with the O.T. Bible details that suggest WHY the pine-tree was cursed; your mom would throw me out of Italian-Catholic house with these words (here you may insert the proper Italian expletives). Enough said. Now you know why I would not buy an (Xmas)-Tree if you put a Mussolini-macho gun to my head. Have yourself a Merry Little Xmas, even so. Too funny George. It appears ours might have been cursed also. Have a great holiday! Happy National Public Sleeping Day! Happy New Year! Start it with Delicious Man Food – Pork and Sauerkraut! Christmas is a Friggin Exhausting, Happy/ Sad Affair – You’ll Need the Best Lemon Cheesecake Squares. It’s National Tie One On Day!! !